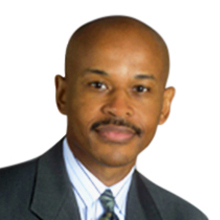 Donald Crawford is a Principal Consultant based in the Washington, DC metro area. Donald has over 30 years of marketing, strategic planning and finance experience in the sports and entertainment, hospitality, consulting and telecommunications industries. Previously, Donald was the Senior Director of Sports Marketing, Partnerships & Promotions for Choice Hotels International. During his tenure at Choice Hotels, Donald laid the foundation to organize the group into a fully developed sports and partnership marketing organization. He delivered over $187 million in incremental business and served as chief negotiator for all sports marketing and partnership programs saving the company over $8 million in sports licensee fees. Some of Donaldʼs 70+ deals included the LPGA, Little League Baseball & Softball, several National Governing Bodies of the United States Olympic Committee and ten collegiate conferences. Donald was also a five-time Hospitality Sales & Marketing Association International (HSMAI) Adrian Award recipient for integrated sports marketing communications and sponsorship activation. Prior to Choice Hotels, Donald founded and served as Chairman & Managing Director of Crawford Sports Marketing, a full-service sports and entertainment marketing consulting firm providing the development, design, promotion, activation and execution of sports marketing programs and events at the amateur, professional and corporate levels. Some of the firmʼs clients and sporting events included the Ford Motor Company, McDonaldʼs Corporation, Kraft Foods, Nike Golf, Whirlpool, The Olive Garden/Red Lobster, Sprint, Salomon Smith Barney, Harris Bank, Coca-Cola NHL All-Star Game & FANtasy, Boston Celtics, Worldwide Senior Tennis Circuit, and USATF National Masters Indoor Track & Field Championships. The company also produced celebrity golf and tennis charity tournaments primarily at the Walt Disney World® Resort. Donald began his career with Verizon (formerly GTE Corporation) where he was a member of a fast-track financial management program. This program lead Donald to various finance and strategic planning positions of increasing responsibility including Chief Negotiator of Naming Rights in conjunction with the professional sports teams in the San Francisco Bay Area. Donald also served as Project Leader to develop multi-million dollar integrated marketing programs for GTEʼs partnerships with the PGA Tour, Champions Tour and NCAA. Donald earned his MBA from the F.W. Olin Graduate School of Business at Babson College with a concentration in Marketing & Entrepreneurship and has a BBA in Finance & Banking from Howard University.